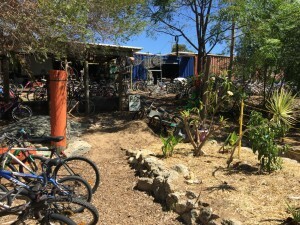 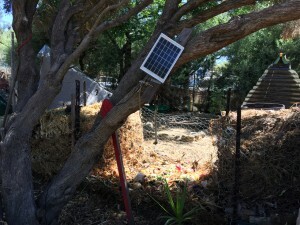 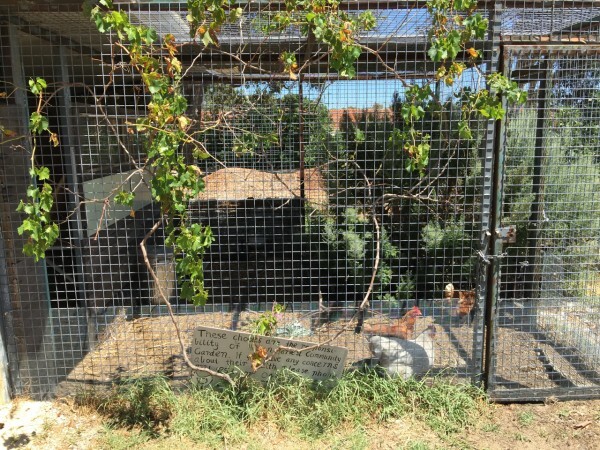 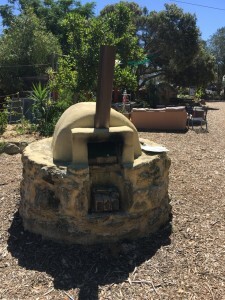 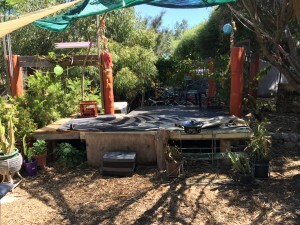 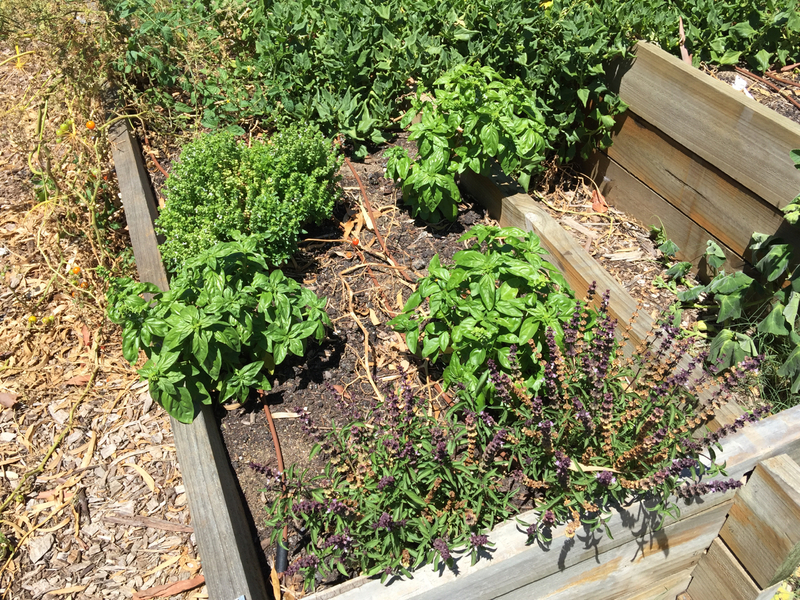 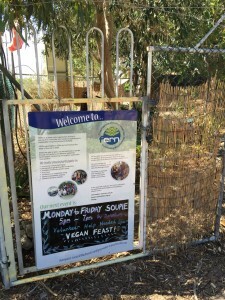 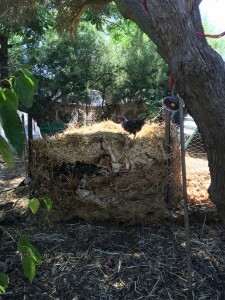 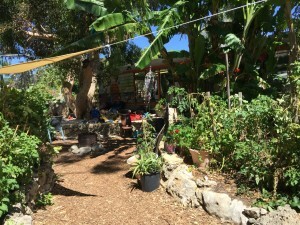 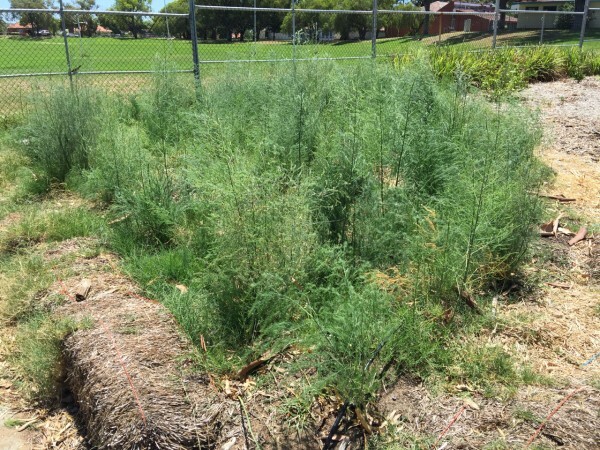 I recently visited Fremantle in Western Australia (early February 2016) and while there took some time out to walk round to see what was happening with the community gardens in the immediate area. 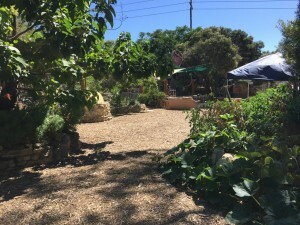 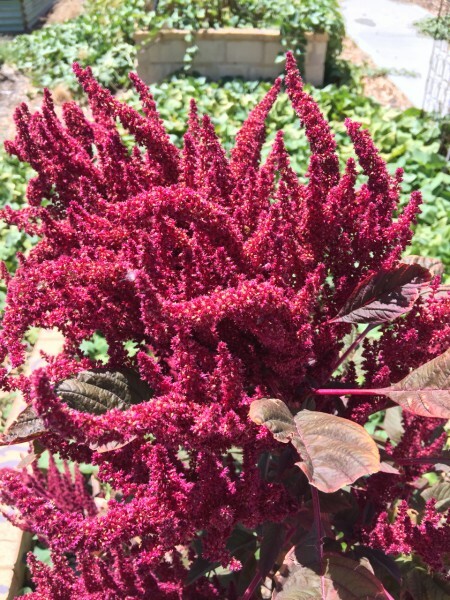 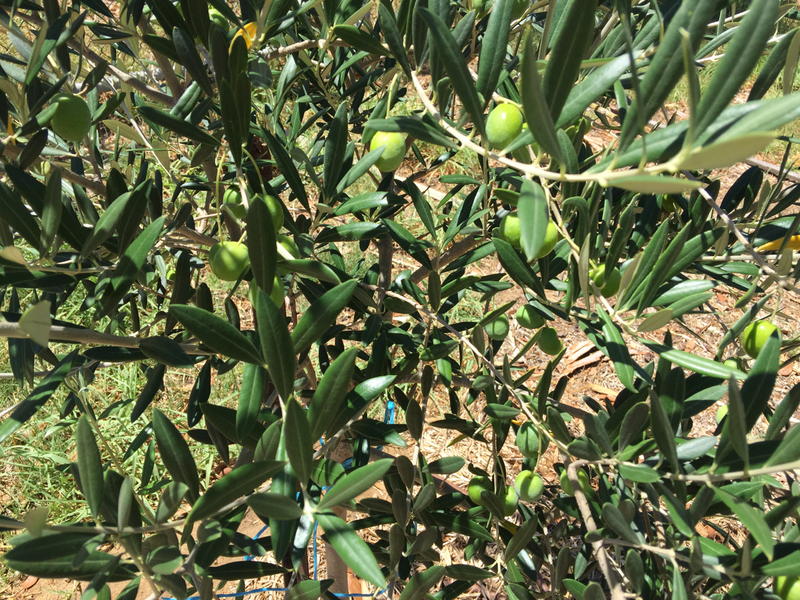 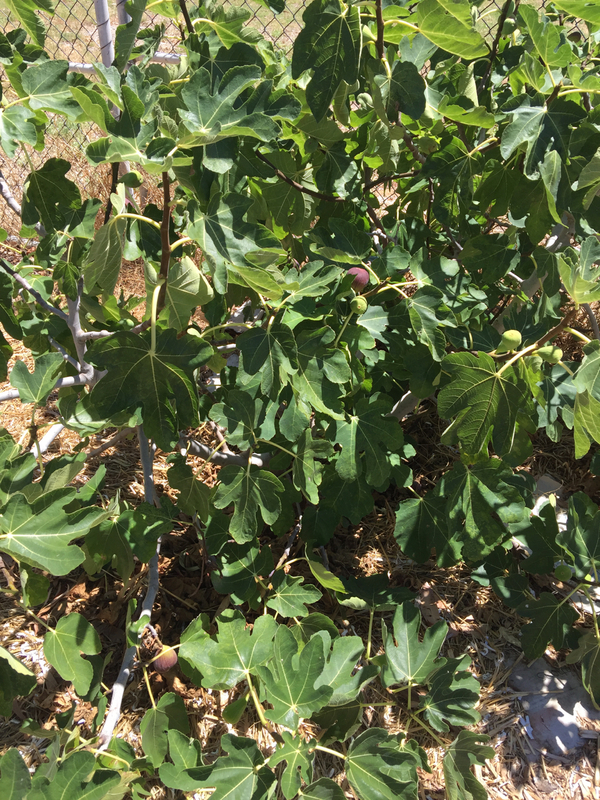 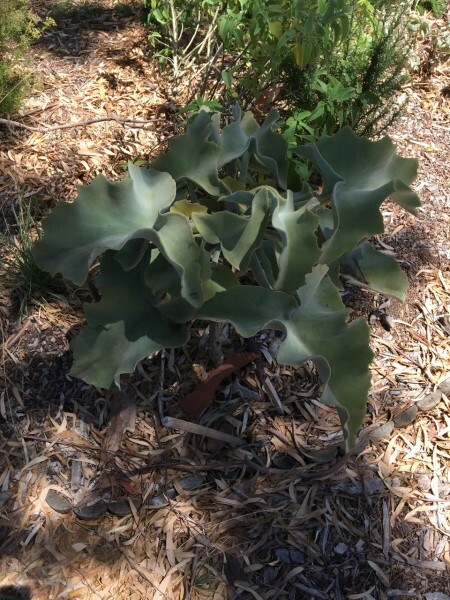 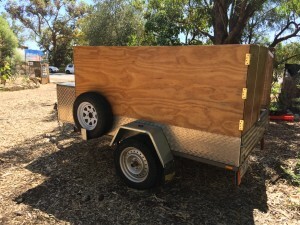 I walked to see three different gardens – the Fremantle Environmental Resource Network, the Hilton Harvest Community Garden and Apace WA nursery. 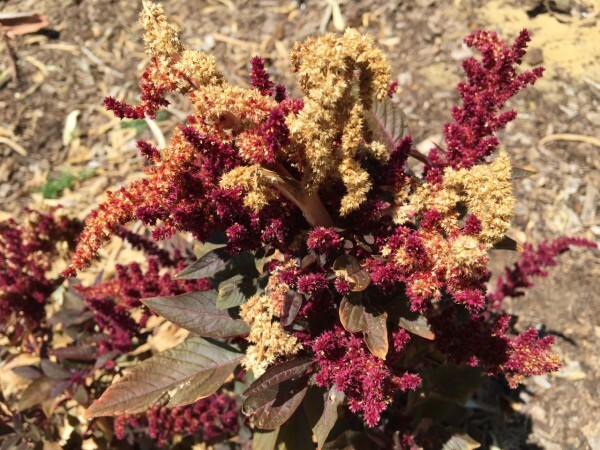 It was the beginning of a pretty significant heatwave for the week with temps running from about 37-42 during the day so I had to limit the walking to a few hours and even that got challenging at some points. 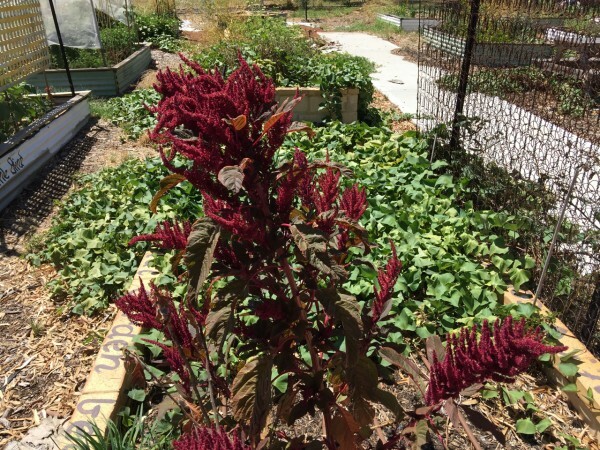 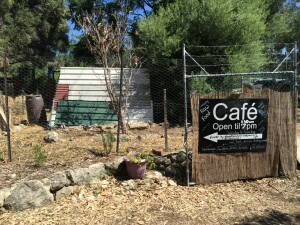 It is probably not the best time to visit open access community garden spaces in a climate that has baking hot summers. 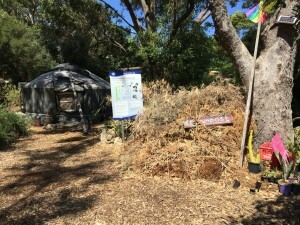 However there were some entertaining things to see, and some evident novel ways of coping with the local challenging climate. 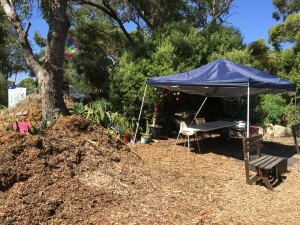 Being a coastal area the local soils are also very sandy and low in nutrients. 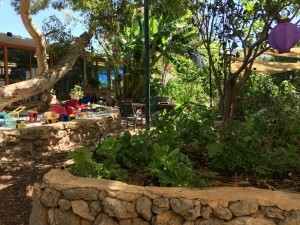 I was visiting them during the days at fairly random times which did not coincide with organised meetings or workshops etc so did not get to talk to anyone much involved in the gardens at any of the locations. 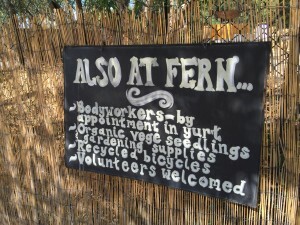 The FERN site is easy to get to and on a main arterial route road. 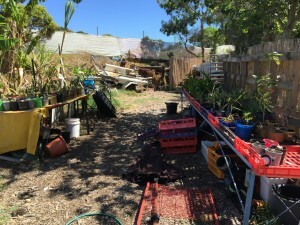 It seems there is a lot of local politics going on with the road as there were a group of houses close to the FERN site that had what looked like squatters in them with many signs about a road widening project. 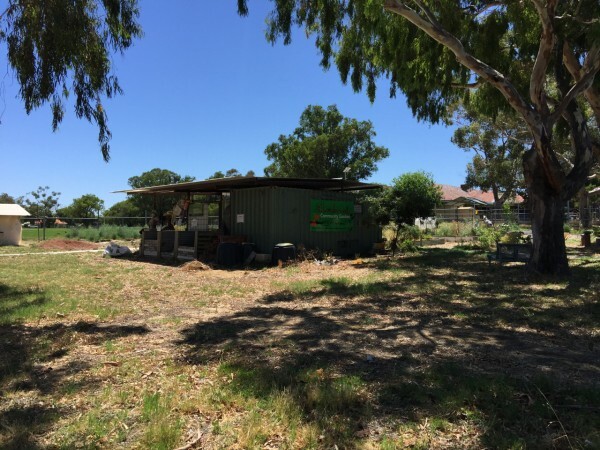 However it seems that a lot of the local energy has been relocated away from the FERN gardens and towards this ‘project’ instead. 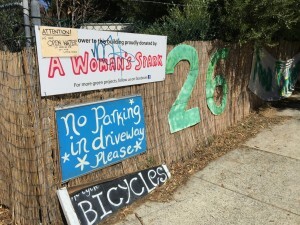 The main road intersection near the gardens is possibly one of the most dangerous I have ever tried to cross and the very large number of very large trucks moving through it at high speed make for a pretty tricky transversing for pedestrians. 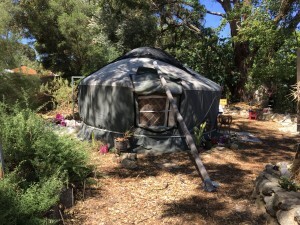 The FERN centre is in quite a good location on the edge of a large park area and there is evidence of a history of lots of various activities being run from the centre including a great little Cafe and Bicycle recycling business and the usual range of community garden type structures such as compost stacks, some very nicely housed chickens (considering the heat), a sizeable Yurt and a Pizza oven. 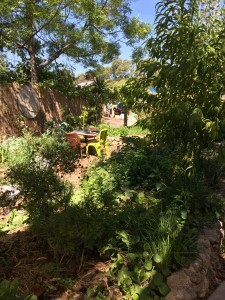 The gardens otherwise are a complex maze of historical work spaces and not so much planted growing areas. 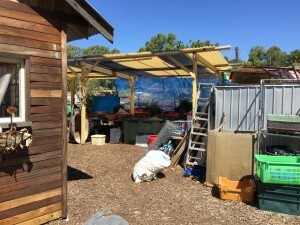 The Hilton Harvest Community Gardens are in a very nice little space connected with the local primary school. 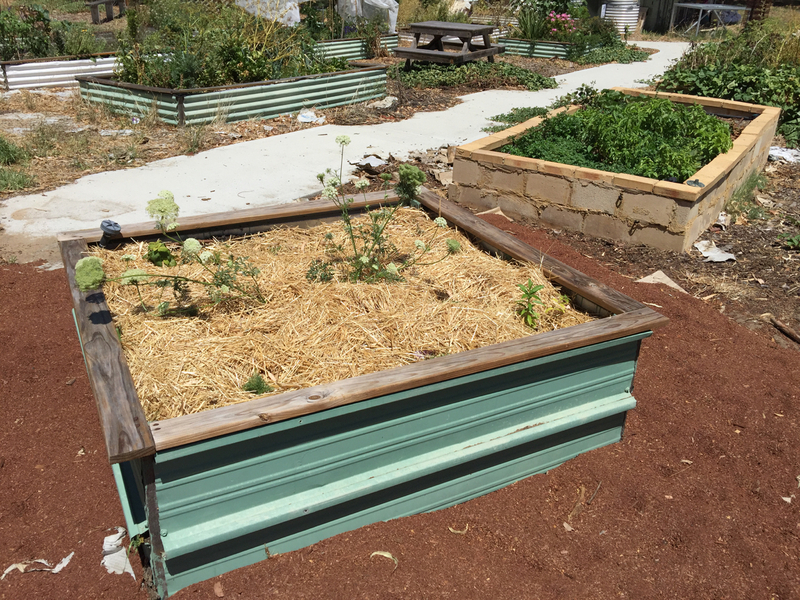 It is what you would think of as a typical small local productive community garden with a well made storage shed for equipment and well maintained chicken coop ( again interestingly designed and adapted to cope with the local high heat conditions). 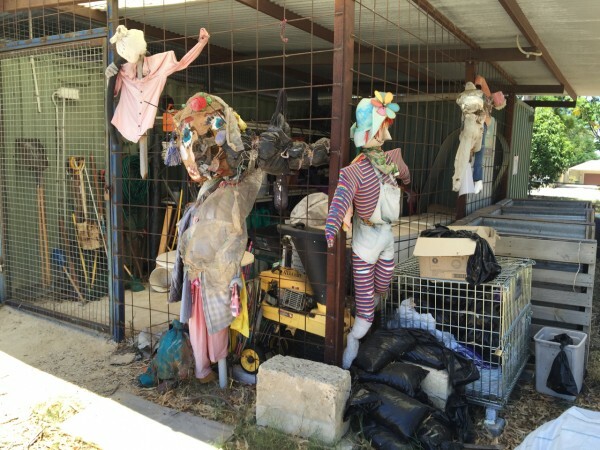 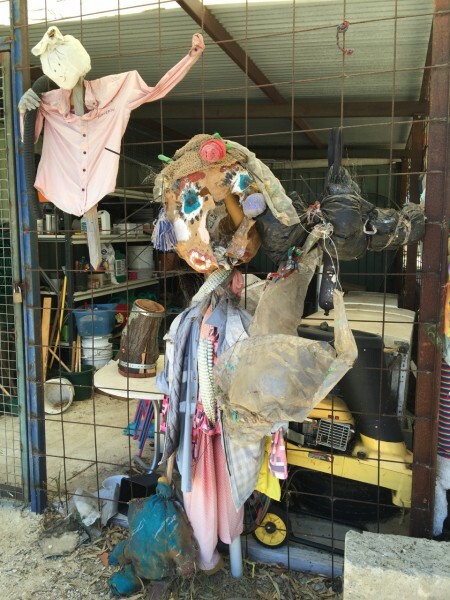 They have a significant collection of scary scarecrows attached to buildings and structures. 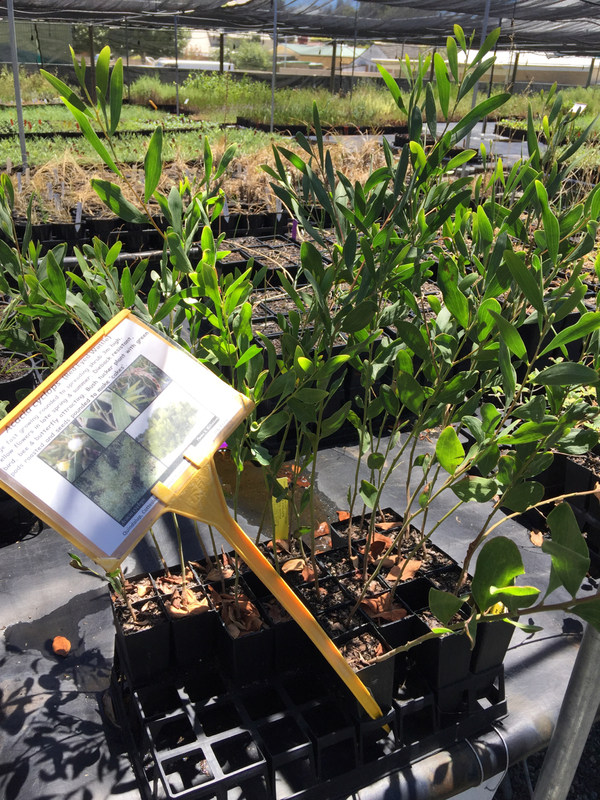 You can see they are still developing the planting spaces and there are some really nice plantings of fruit trees which look like they will be a great addition to the site. 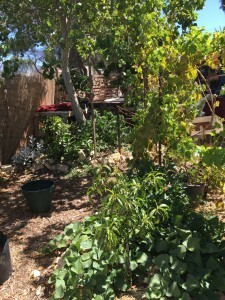 Of note are the fantastic fig trees and olive trees which i think will in the long run give the space a unique feel and be very useful shade trees and wind breaks. 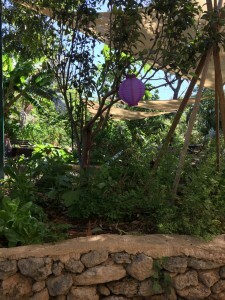 I hope they plant more of the trees to form a shady grove at the edge of the gardens. The asparagus patch was also very impressive. The APACE nursery was an interesting place however it felt mainly like a commercial nursery environment. 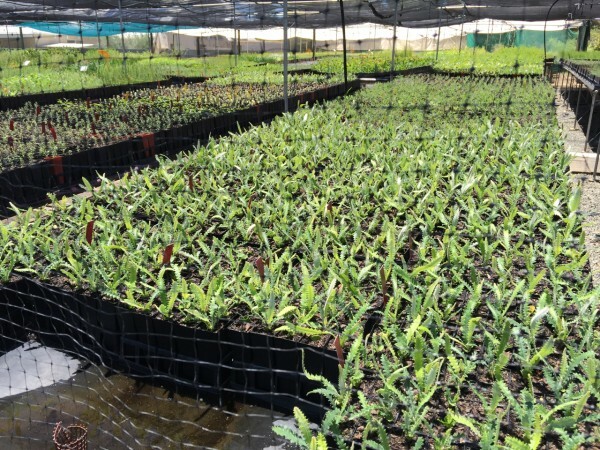 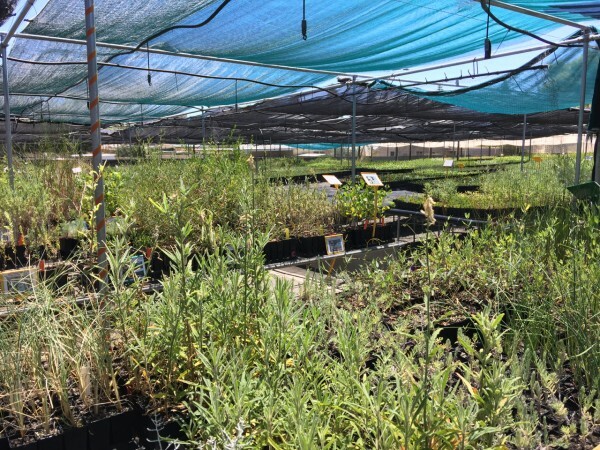 The buildings are substantial and are obviously used for a range of admin, workshops and large seedling production etc. 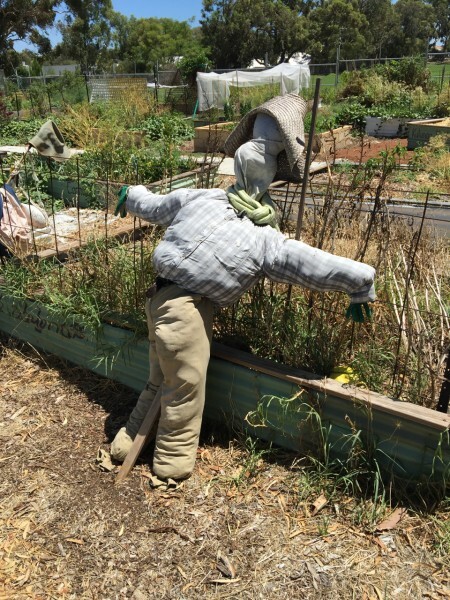 I assume from the printed matter that they do a lot for hiring local people to work in the hort industry. 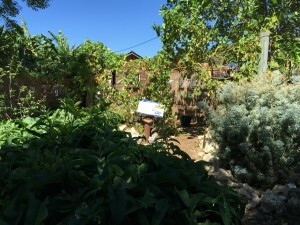 I could not actually find the Community gardens part of the site as it was not obviously signposted and it did feel like a commercial business that I dd not want to wander about in. 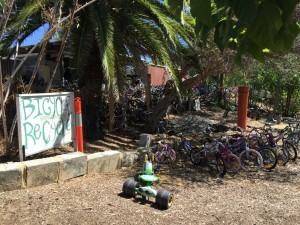 I think it may have been at the far end of the sheds but there were no signs for it that I could see. 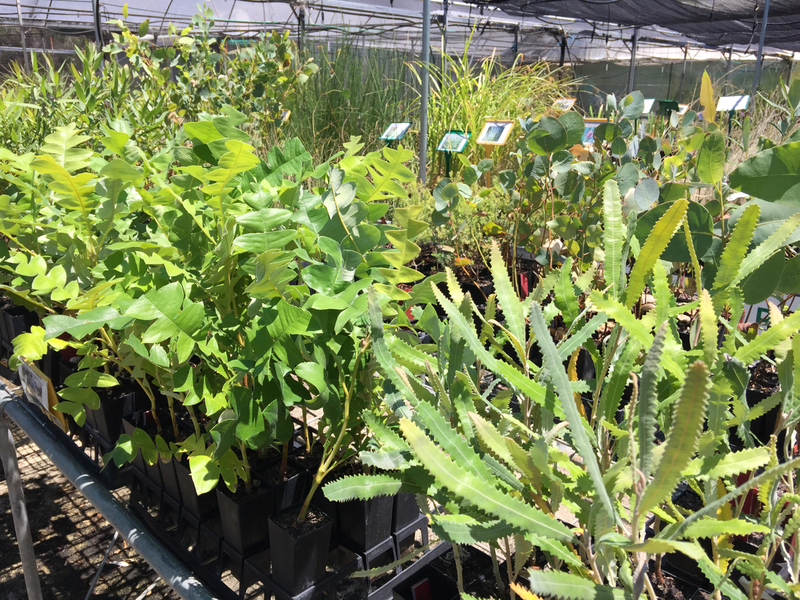 They have a fantastic range of native plants available in the nursery though and if living locally it would be a great resource for replanting your native garden. 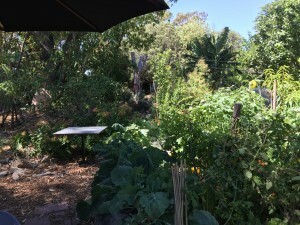 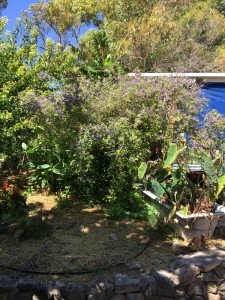 There appeared to be other community gardens in the general southern Perth region but I could not find direct web pages or they were too far away for me to walk to with out more time and less severe weather.